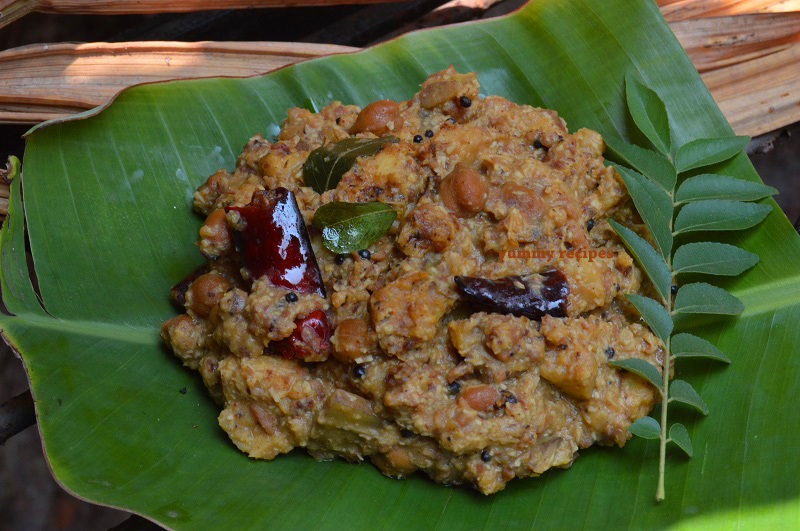 Kerala sadya based on varieties of dishes, Koottu curry is the main part of sadya and special occasions like onam vishu. The high light of this curry is the roasted coconut. 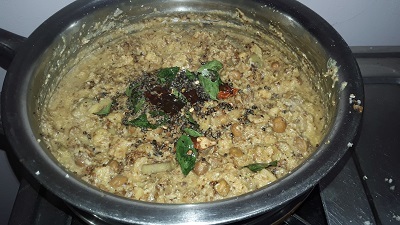 I would likes to use this curry with rice and dosa. 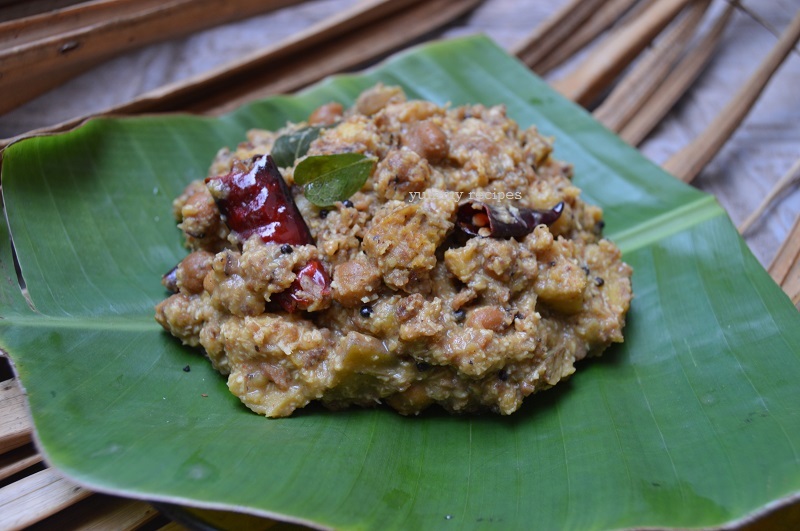 The making of Koottu curry is bellow with detailed images. do try this and send your feedbacks in comment box. Soak channa over night, cut yam and row banana in to small pieces. Add are in to a pressure cooker, also add water. Then add the spices turmeric powder, red chili powder and pepper powder. Close the lid, wait for 3 whistle s in high flame. Keep it aside to set the pressure. Add 4 table spoon grated coconut in a blender just crush it. After the whistle settles open the lid, add salt to taste and mix well. Add crushed coconut in it. Mix gently and cook for 1 minute in high flame. Add ½ teaspoon cumin powder, mix all are well. Heat oil in a pan adds mustard seeds, allow it to splutter. 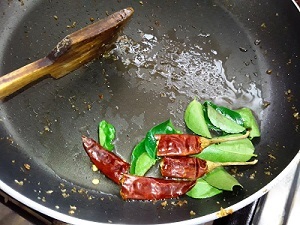 Then add curry leaves and dry red chili in it. 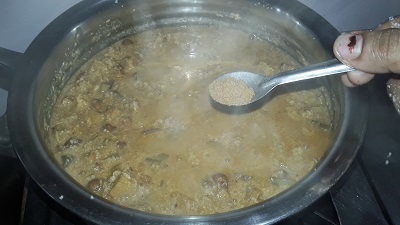 fry for a seconds and remove in to the curry. 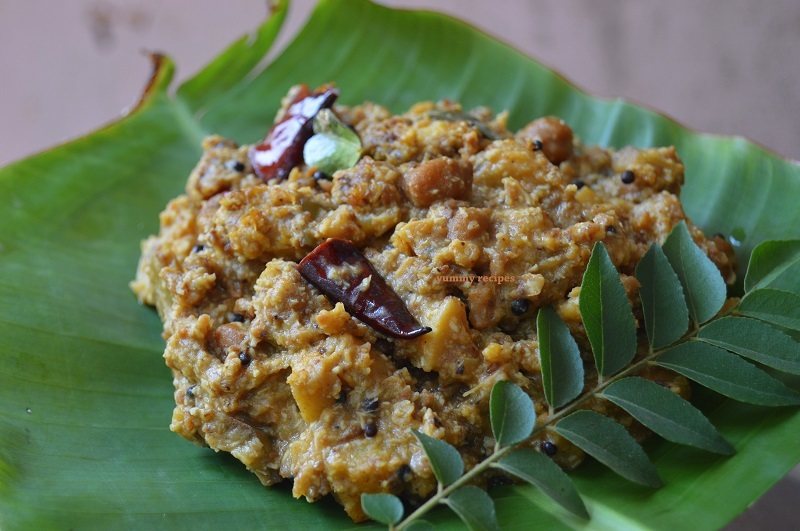 In the same pan fry remaining grated coconut roast the coconut become golden brown in color. Combine all are well and remove it from the stove. 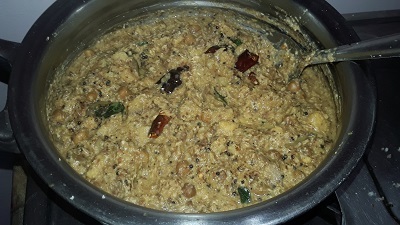 The tasty koottu curry is ready to serve with rice, dosa etc. Enjoy cooking with yummy recipes.